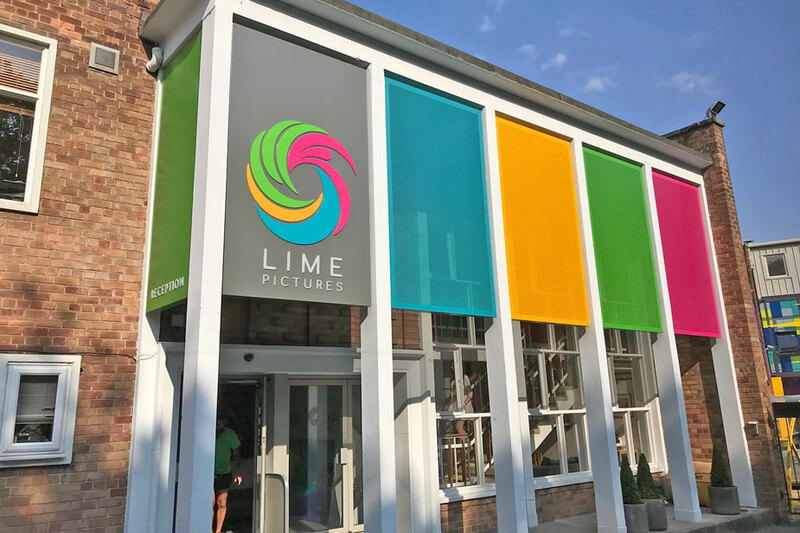 We were approached by the multi award winning, tv production company Lime Pictures to refresh the signage at their Liverpool base. The company, responsible for producing soaps/tv dramas including brookside, grange hill and hollyoaks contacted us, having previously used us to manufacture signage used on the set of hollyoaks. 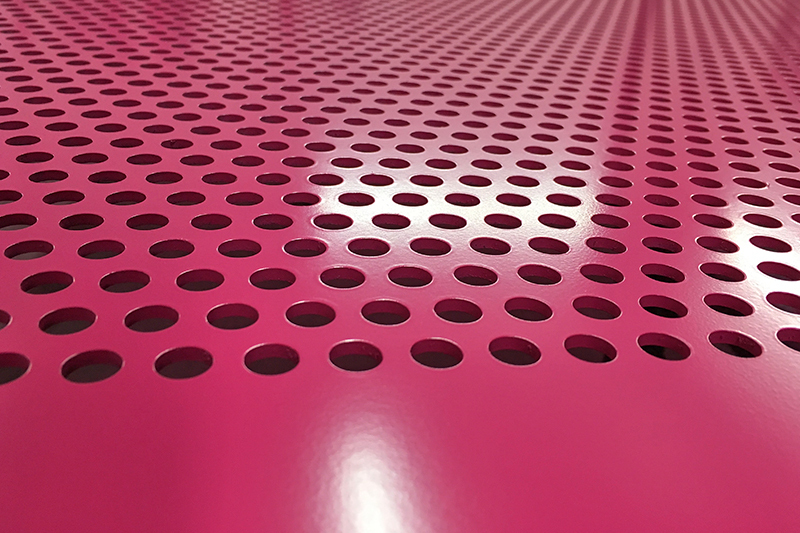 The client requested aluminium panels with a perforated sheet effect which had 2 of our router machines working flat out. Each sheet measuring 1.8 x 3m was to be fixed over a steel angle frame on-site. 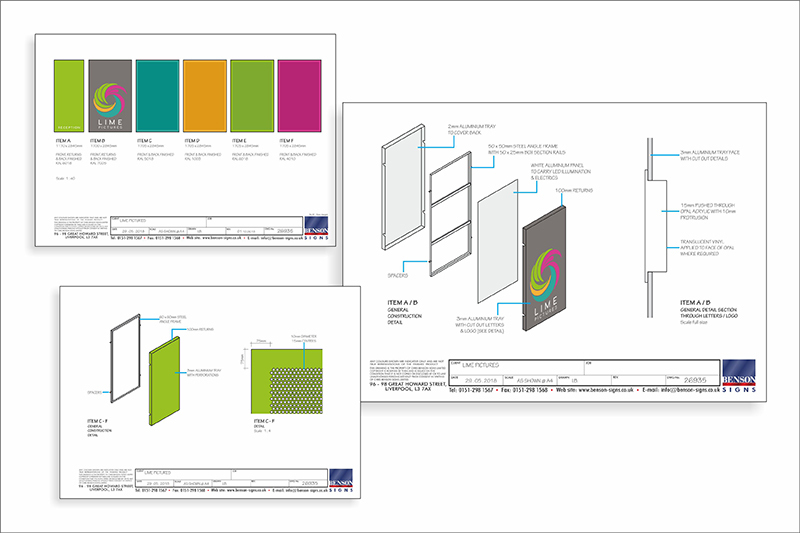 The panels and frame were powder coated in-house using vibrant brand colours provided by the client. One of the panels with company branding required the logo to be fret cut from a solid aluminium panel. This had 15mm thickness routered opal acrylic details pushed through the aperture with translucent vinyl details applied to face. This was to be led illuminated which looked very effective when lit in our workshop before installation. 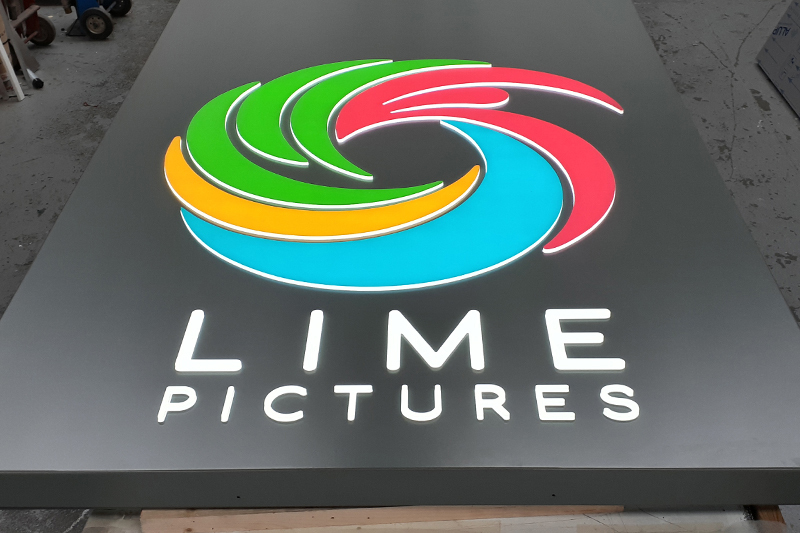 The signs were installed by our fitting team who were given a specific time slot to work around the busy filming schedule at lime pictures. The client was very pleased with the finished product.